May chase and potentially harm cats or other wildlife. 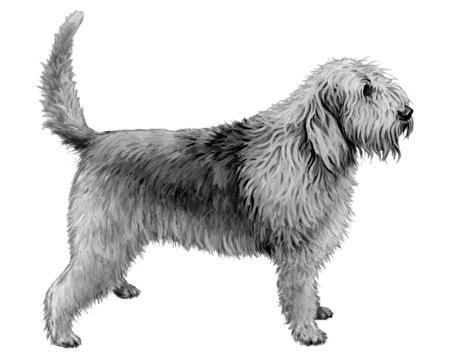 Otterhounds enjoy dog sports particularly hunting, tracking, and swimming. Stubborn tendencies may be reduced through reward-based training techniques using treats and toys. Back in the 12th century, there was an explosion in the otter population. And that meant fewer fish for everyone else. The answer? An ‘otter’ dog to help solve the issue. 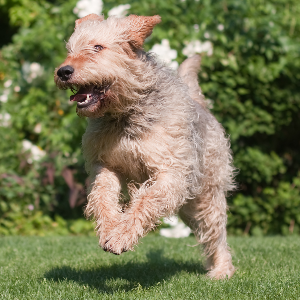 Enter … the Otterhound. This dog was purposefully bred to be a strong swimmer. 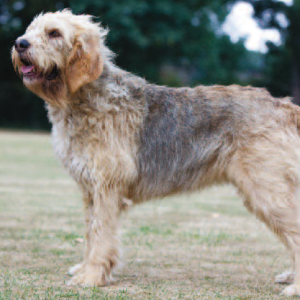 The exact mix that went into creating it is as murky as some of the rivers it must have navigated, but candidates include the French Vendeen Hound, Bloodhound and Water Spaniel. 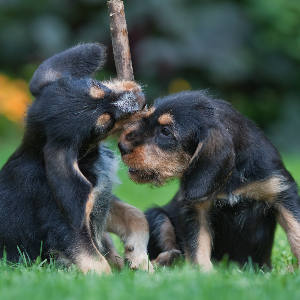 In 1212, King John of England was said to have kept a pack of Otterhounds for hunting. It wasn’t until 1900 that they arrived in the United States, however. Though otter hunting never became popular in America, these amiable and lovely dogs definitively have.